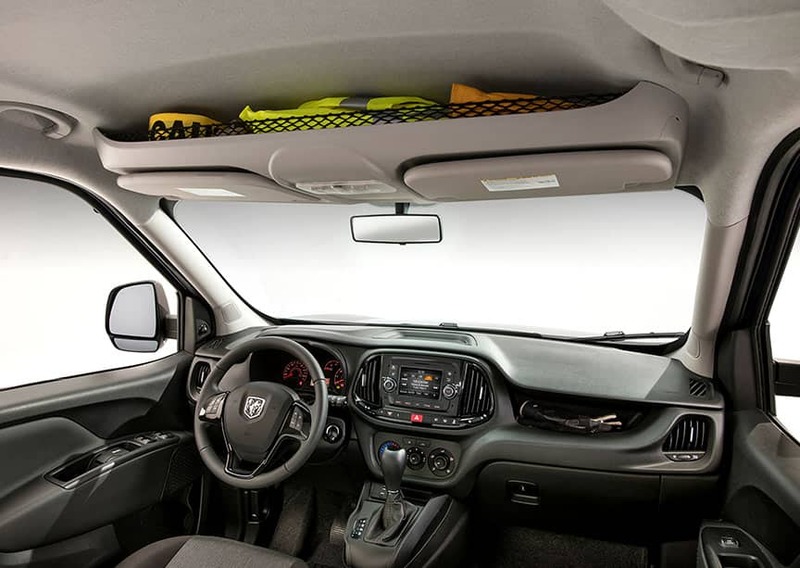 Ram's extensive lineup of commercial vehicles has a new addition for 2015, in the form of the all-new Ram ProMaster City. Built to be functional in every facet, the van is truly flexible and perfect for a variety of customers and their needs. Capable of suiting the demands of business owners across the country, the van offers best-in-class dimensions which make it one of the most versatile vans on the road. Standing out with eight different possible configurations for both commercial and passenger purposes, the ProMaster City competes in the compact van segment. A cutting edge vehicle, the ProMaster City is the first commercial van across all brands to offer a nine-speed automatic transmission. Offering incredible capability, the front-wheel drive compact van comes standard with a 2.4-liter Tigershark I-4 engine. With this and the exclusive nine-speed automatic transmission, the engine and powertrain match leads to a series of best-in-class titles. 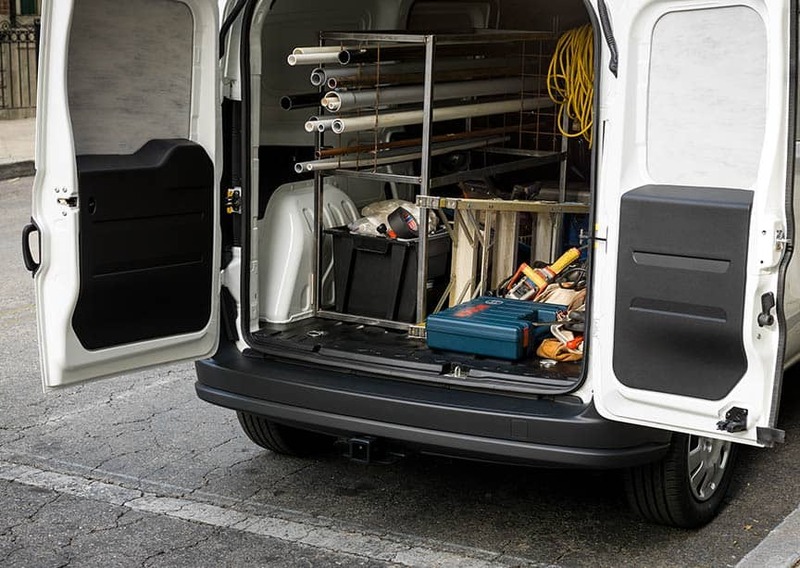 Boasting 178 horsepower, and a peak torque of 174 pounds-feet, the standard equipment found on the ProMaster City beats every other compact van in the segment. The van comes in eight different configurations and comes in three trims; Tradesman Cargo, Tradesman SLT and Wagon. Each of the trims offers a great set of features in addition to unique components, all of which will be helpful aids for drivers during their various tasks. The ProMaster City was built for function, yet it manages to retain a great style with seven exterior colors, and well-sculpted body lines. The vehicle is truly modern and has a professional presence, which will lend itself well to any business needing a vehicle to serve as a mobile advertisement. The cargo potential of the ProMaster City is unmatched, with an impressive height of 51.8 inches and height of 60.4 inches. The Cargo model of the vehicle pays particular attention to ease in hauling with a best-in-class cargo potential of 131.7 cubic feet, and floor measurements of 87.2 inches in length. There are multiple tie downs found all over the vehicle, meaning anything that you load into the van will stay put. Not just functional, the van can also be equipped with the highly acclaimed Chrysler Uconnect system. Lauded for its ability to be advanced yet intuitive and easy-to-use, the 5-inch touchscreen system gives drivers access to a variety of media and navigational applications. In addition, the hands-free capability of the system means that drivers can keep their eyes on the road and hands firmly on the wheel. The integration of safety and security components was of the utmost importance to the engineers of the ProMaster City, and it shows in the number of standard and available features offered. With 34 passive and active options, the ProMaster stands out with traffic notifications and additional features to help you navigate through tight city roads. Available is a ParkView backup camera, which is linked to ParkSense; this system uses audible alerts to notify the driver of any possible collisions which is convenient when you are stuck in traffic, or attempting to back into a tight spot. No matter what you need you ProMaster City for, it is sure to deliver. Contact us today for more information!